“I don’t think we will survive another 1,000 years without escaping beyond our fragile planet,” Stephen Hawking said while delivering a lecture on the universe and the origins of humans at the Oxford Union debating society on Monday, according to the British newspaper The Independent. Despite the dire warning, Hawking also tried to sound a hopeful note about the future of human achievement. 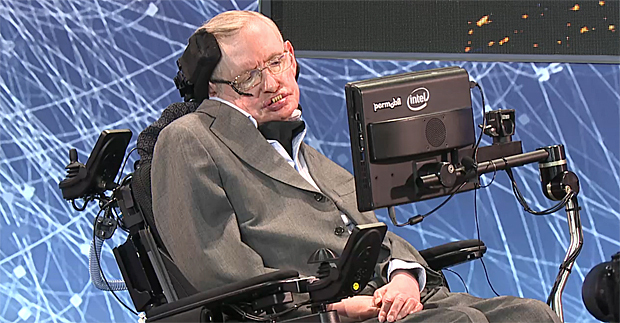 In recent months, Hawking has used his stature in the sciences to make broad statements about the thorny moral and political dilemmas facing modern societies. In an essay published in The Guardian in July, Hawking argued that in order for humans to survive the massive, serious challenges ahead — climate change, overtaxed food production, and overpopulation, to name a few — they need to resist the individualism and isolationism that have fueled political movements like Brexit. “We will need to adapt, rethink, refocus and change some of our fundamental assumptions about what we mean by wealth, by possessions, by mine and yours. Just like children, we will have to learn to share,” he wrote.